Elliott DockMaster cranes include 10 and 18-ton (9 and 16 t) capacity models. Motor and pump packaged together for clean and easy installation. Tom Vatter, Elliott's V.P. 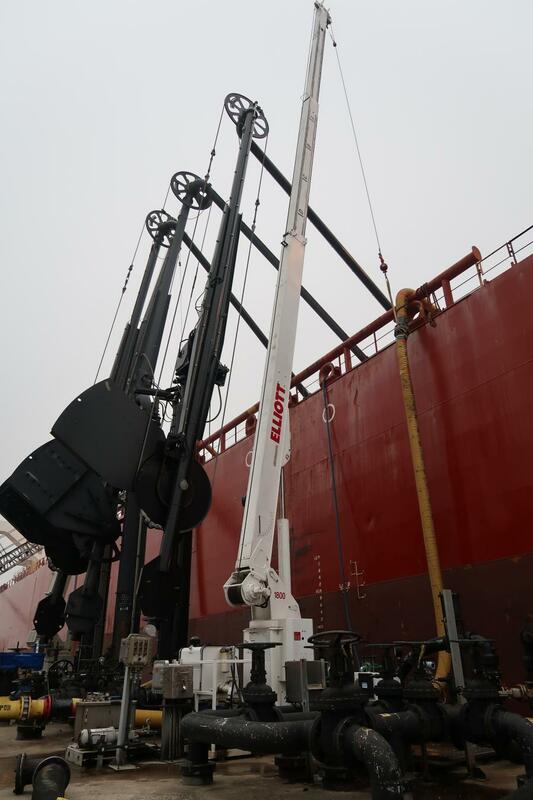 sales and marketing, said, "Elliott's DockMaster cranes are another example of Elliott listening closely to end users in the field, understanding the demands of their work and engineering reliable solutions. "Dock work is physically demanding, and the environment adds additional challenges to the job. Workers need to count on their equipment. That's why we developed the DockMaster to be easy to operate, simple to maintain and compact, to maximize the available space on the dock." For more information, visit elliottequip.com.